Written by Gregory Smedley on February 10th, 2019 February 10th, 2019 . 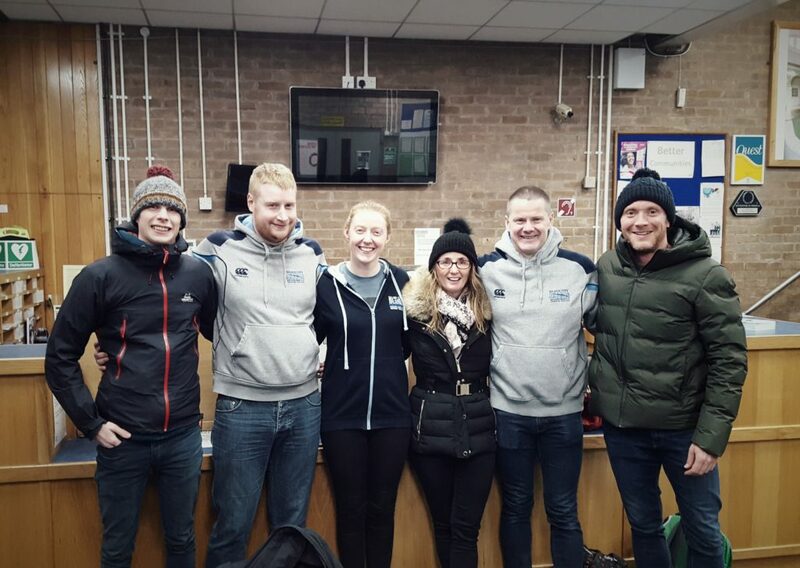 The 1st of February saw a small contingent of five SCB team members travel to Carlsile for their annual Masters meet. This year the meet would specially commemorate Graham Pearson who was a big personality within the Carlisle club as well as British Masters swimming as a whole. The team certainly left their mark with members taking a huge haul of medals. • Kelly McIntosh returned with 6 golds (800 m freestyle, 50 m butterfly, 100 m IM, 50m freestyle, 200 m IM and 100m back stroke) and 1 silver (50 m breast stroke) in the 30-34 years. • Alison Pirie returned with 4 golds (50 m freestyle, 100 m freestyle, 100 m back stroke and 200 m freestyle) in the 40-44 years. • David Sutherland 4 golds (100 m IM, 100 m freestyle, 50 m butterfly and 50 m breast stroke) in the 30-34 years. • Martin Snape won 3 golds (100 m breast stroke, 50 m butterfly and 50 m breast stroke) 40-44 years. • Keith Dunnett smashed it with 7 golds (800m freestyle, 400 m IM, 200m backcrawl, 100 m breast stroke, 200 m butterfly, 200, breast stroke and 200 m IM); 3 silvers (100m back crawl, 100 m butterfly and 50 m breast stroke) and 3 bronzes (100 m IM, 50 m back stroke and 50 m butterfly) in the 45-49 years. Kelly McIntosh and David Sutherland also qualified to compete in the mix up medley event held in memory of Graham Pearson. Kelly finished 1st in the women’s event and David finished 4th in the Men’s event. To cap it all the team finished 3rd best of the competition, well done guys.